“Ace” your desert getaway with this active experience for two. The Chateau at Lake La Quinta is welcoming guests to unleash their inner athlete with the hotel’s new Grand Slam tennis package. This active getaway includes lake-view accommodations, spa treatments and private tennis lessons at nearby Indian Wells Tennis Garden, a world-class facility home to the BNP Paribas Open and other major tournaments. As the first and only waterfront hotel in greater Palm Springs, The Chateau at Lake La Quinta is a tranquil and unexpected desert retreat for couples, families and friends. The new Grand Slam package takes guests beyond the hotel hideaway to experience La Quinta’s world-class sporting facilities set against the dramatic desert landscape. Available April 3 – September 15, 2017, the Grand Slam package at The Chateau at Lake La Quinta serves up a fitness-focused escape featuring a private tennis lesson for two people at the Indian Wells Tennis Garden, equipment included. Back at the Chateau, guests will enjoy elegant lake view accommodations in a guestroom or Bungalow, and a restorative en suite couples’ massage to relieve muscle tension after a day on the tennis court. 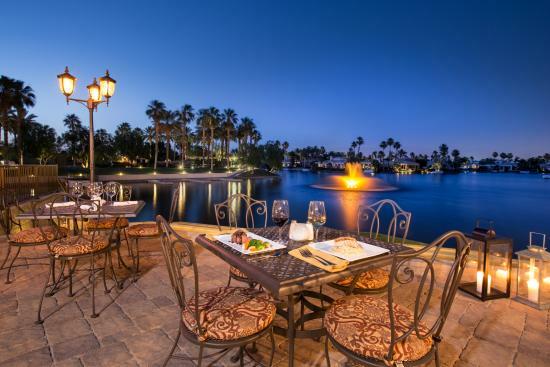 Rates for the Grand Slam tennis package at The Chateau at Lake La Quinta begin at $529 based on double occupancy. To reserve a stay, or for additional information, contact the Chateau at (760) 564-7332. 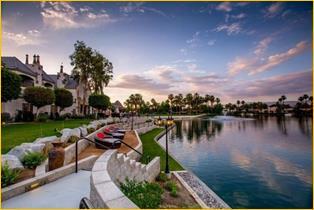 For more information on The Chateau at Lake La Quinta, visit http://www.thechateaulakelaquinta.com. Nestled in the Coachella Valley near Palm Springs, the waterfront Chateau at Lake La Quinta brings Old World charm to the California Desert. With architecture reminiscent of a French manor, the oasis opened in October 2015 with 24 private suites and bungalows with panoramic views of Lake La Quinta framed by swaying palms and the San Jacinto Mountains. The lakefront retreat offers personalized service and thoughtful amenities, including a 24-hour pool and a farm-to-table restaurant, Mélange, the only lakefront dining destination in Palm Springs. Nearby, guests can explore five PGA golf courses, boating, hiking, horseback riding, hot air balloon tours, fishing and mountain biking. The Living Desert, Palm Springs and Joshua Tree National Park are also within reach.